As the year comes to an end we wanted to share some of the beautiful scenery we had the pleasure of seeing during our visits to St. John in 2018. In this video you will see scenes from both all the North Shore beaches, as well as the terrific views from the terrace of St. John Escape. We have an upcoming visit to St. John in a couple of weeks. Be on the lookout for our updates as to what is happening on the island as 2019 begins. Here’s a video of our just completed visit to St. John. Tag along as we visit Salomon, Honeymoon, Hawksnest, Maho, Francis, Gibney, Peace Hill and Haulover. There’s also a little detour to Jost for Sunday fun day. It was a 10 day visit and gives you an idea of the many sights you can see. Our next visit soon will cover different parts of the island. St. John continues its amazing recovery and is waiting for your visit!! The word Carnival brings to mind an assortment of images; for music lovers it might mean heated Calypso shows and for children it brings to mind amusement park rides and cotton candy. To those who enjoy Caribbean delicacies Carnival may mean food/drink booths at the village. 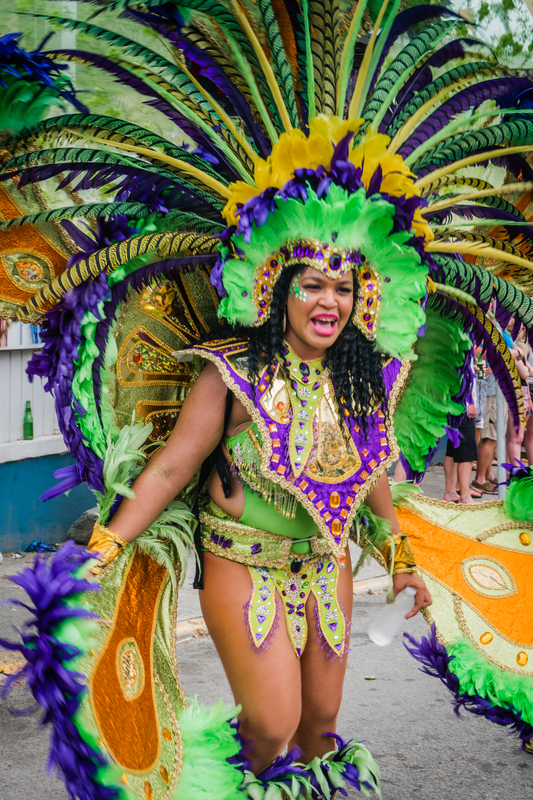 And to anyone who has experienced the Carnival parades, the word certainly brings to mind steel drums, bands, colorful costumes, people of all ages dancing in the streets, mocko-jumbies and fireworks. And if none of these images came to mind, perhaps you have never experienced Carnival in the U.S.V.I. It’s incredible that just 10 months after Hurricane Irma blew through that the people of St. John could pull off another Carnival festival. It’s one great celebration and party. This video that I am sharing gives you a little taste of what the parade is all about. It is by far the most fun parade that I have ever witnessed and it is so easy to get up close and connect with the people in the parade. As we prepare to celebrate the fourth of July here stateside, we thought we thought it would be fun to write about how it is celebrated on St. John. The great news is that it is still on for this year!! !The biggest annual event in the U.S. Virgin Islands each year is Carnival. It’s held at a different time of year on each island, and they each have their own distinct flavor! The St. Thomas Carnival festivities take place during April-May, St. Croix’s is around Christmas, and St. John’s celebration culminates with the Fourth of July. St. John Carnival, or St. John Festival is in full swing right now! There are events for a full month leading up to the parade and fireworks on July 4th. Some of the highlights each year include ‘Pan-o-Rama’- a night of live Caribbean steel pan music, the Prince & Princess and Queen selection pageants, and Food Fair- a full day of local food, drinks, crafts, and other goodies. The ‘Festival Village’, a collection of local food and drink booths surrounding a huge stage with various live bands performing each night is a local favorite. If you enjoy adult beverages, we can definitely vouch for the drinks at the Electric Lemonade stand. Definitely gets you in the mood to dance to the music. Thursday night/Friday morning, July 4th at 4am is the start of another fun event- J’ouvert! 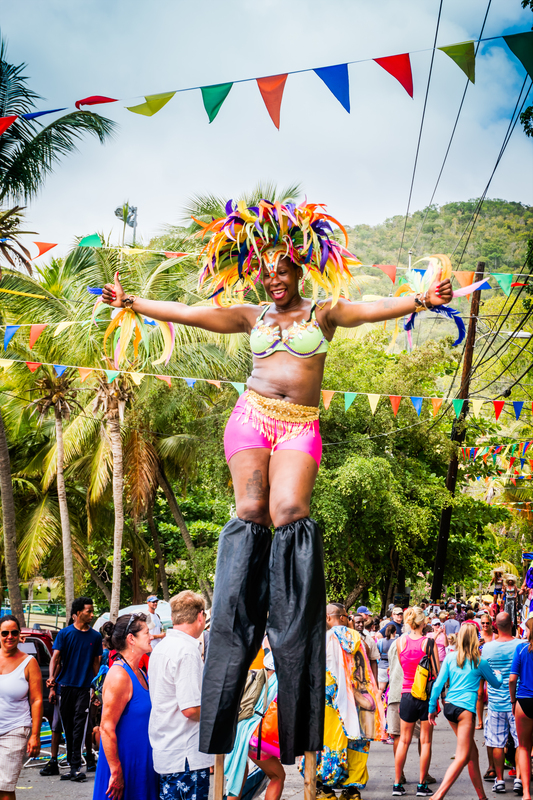 Revelers gather in Cruz Bay to dance through the streets behind large trucks featuring their favorite bands. Friday, July 4th is parade day, beginning at 11am. It’s always a fun and lively event, with great music, colorful costumes, festive ‘troupes’ dancing through the streets, Mocko Jumbie stilt walkers, baton twirlers, steel bands, and above all, an energetic and entertaining crowd! 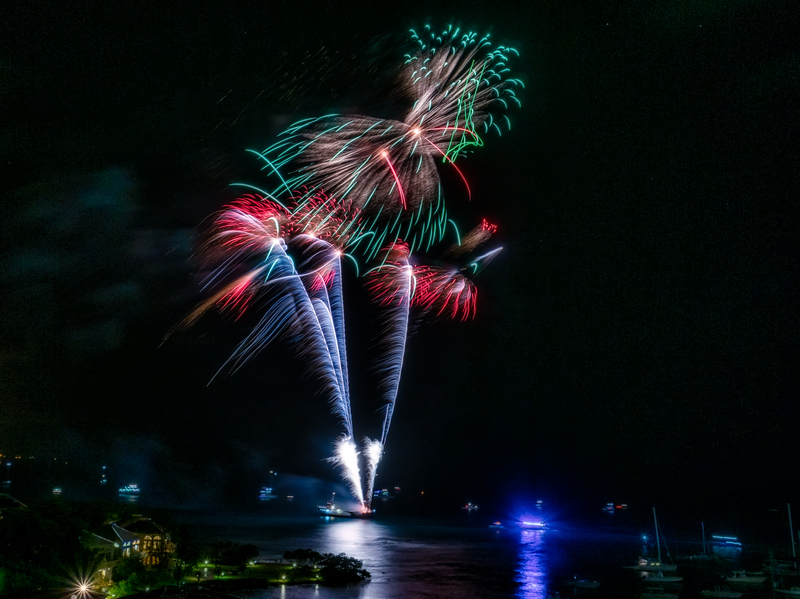 Friday night at 9pm the fireworks display will begin over Cruz Bay Harbor. Locals and visitors alike will gather on the shore to watch the beautiful explosions erupt over the ocean! It truly is a magical sight, with the outline of St. Thomas in the background to illuminate the horizon. The very best spot to view the fireworks is definitely right from the balcony of St. John Escape. There will be one last night of live music and revelry in the ‘Festival Village’ to mark the end of another successful Carnival! Here are some photos I took at Carnival last year. Sharing a terrific video done by on island photographer Christian Wheatley. 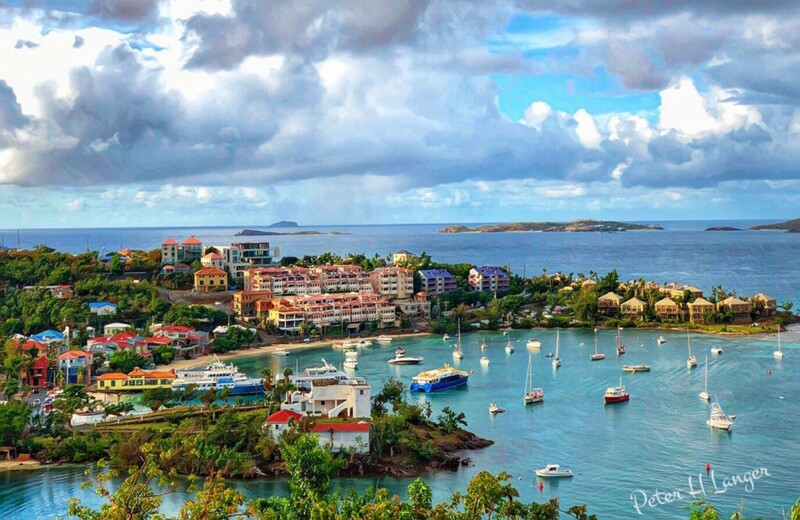 It is a great time lapse of a typical day on St. John. The island is ready for your visit and St. John Escape is ready to host you. Watching this certainly enhanced our excitement about our upcoming visit. Enjoy the video! Anyone that’s been to St. John, knows that snorkeling on St. John offers more great shore snorkel spots than probably any other Caribbean island. 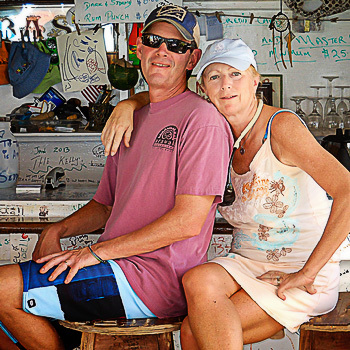 From beginners to seasoned snorkelers alike, there is something for everyone. View gorgeous underwater gardens of coral and visit with the residents; turtles, rays, octopuses, moray eels and an abundance of fish large and small. 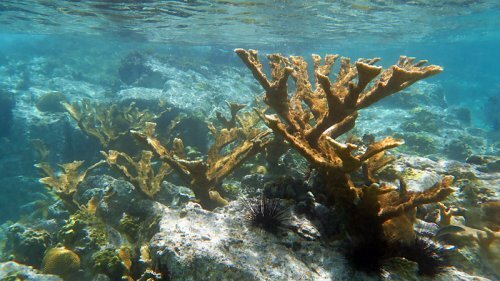 If you know where to go, you can find a variety of healthy fish populations.. You can also find healthy soft and hard corals, including a great deal of Elkhorn Coral around the island and colorful sea fans around the island. St John also has areas with interesting underwater topography that have cool areas to explore, like caves, big boulders and walls. While there are many boat tour options on St. John that can be lots of fun, you can access nearly all the best locations for free from shore. And if you are interested in renting a kayak or a dinghy, there are a couple of great areas easily paddled to that are in fairly protected water. And no matter what the wind direction, you can always find some place calm to snorkel. We have snorkeled just about all of the spots, including those right from the beach, as well as the off shore locations. We will share our favorite spots and how to get the most out of them in future posts. If you know where to go, you can find a variety of fish species and coral. 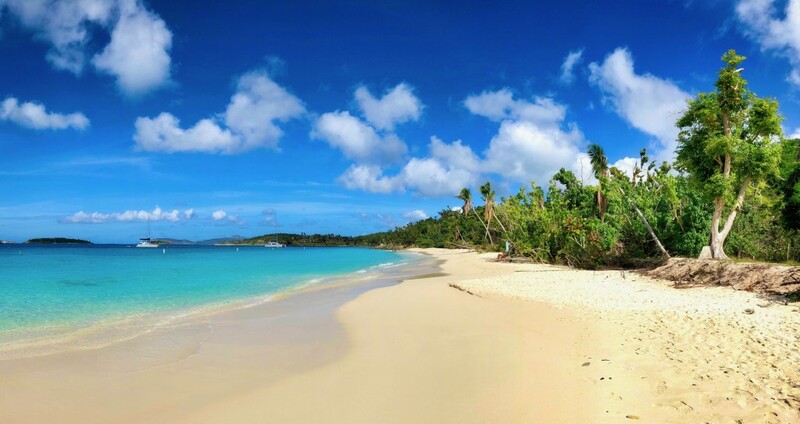 We hope to help you better understand why St. John is such a snorkeling paradise. Ever wonder what you would see if you hiked the Ram Head trail? Well tag along as we take you on a photo and video journey to the summit of Ram Head, starting out at Salt Pond. We start off hiking along Salt Pond Bay and then head inland, walking across Blue Cobblestone beach, past amazing cactus fields, before reaching the summit of Ram Head. The reward for getting to the top is the amazing panoramic view. On the way back we will pass the actual Salt Pond that the beach is named after, before we get to Drunk Bay and see the rock statues. This is an amazing hike and one of our favorites. Enjoy the views!! 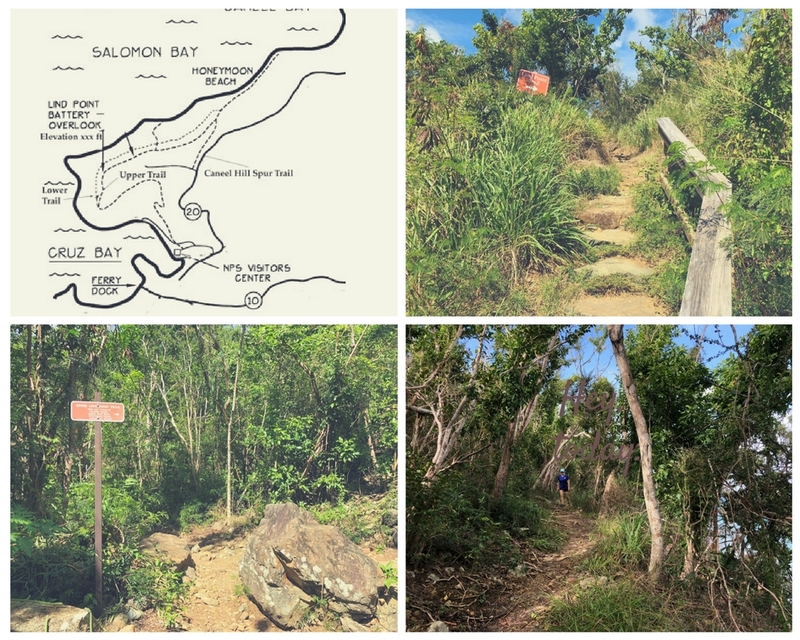 On the sixth day of your perfect week on St. John, we would suggest hiking the Lind Point trail to Honeymoon and Salomon beaches. Starting behind the V.I. 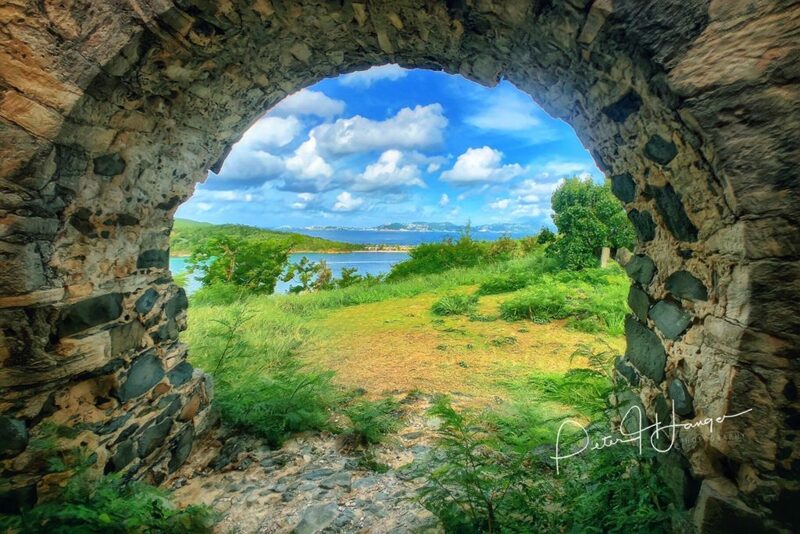 National Park Visitor center in Cruz Bay, the Lind Point trail provides a 1.1 mile hike to Honeymoon Beach. The small little shells you see and hear falling down around your feet are the many hermit crabs. 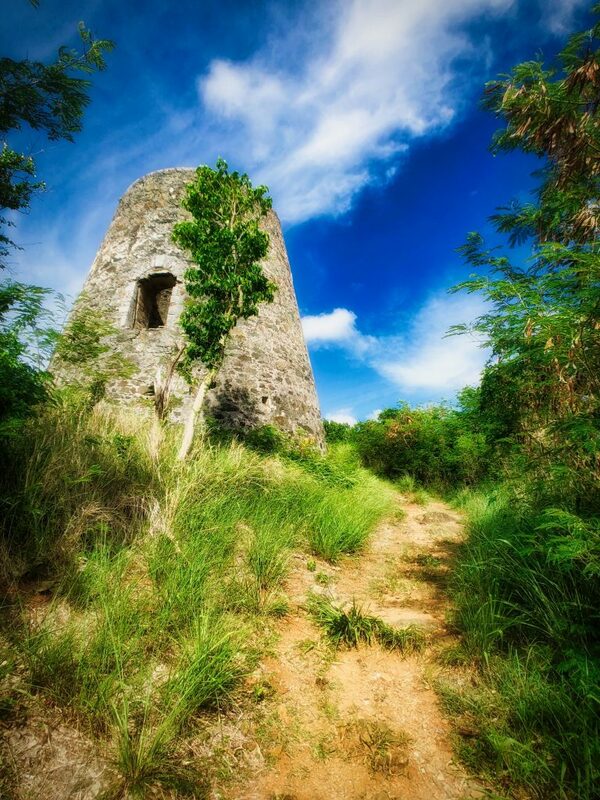 Before reaching Honeymoon, the trail ascends to the Lind Point overlook at an elevation of 160 feet above Cruz Bay. The views towards town and the neighboring islands is stunning. Continuing on Lind Point, a side trail leads to Salomon Beach, a smaller, more secluded bay that shares the same crystal clear waters as Honeymoon. I would rank this trail as one of the easiest on St. John. Still, I wouldn’t walk it in flip flops. I would recommend either wearing Keens or Tevas. Once you get to the end of the trail you are rewarded with this beautiful vista. And if you do this hike first thing in the morning you should have this magical place to yourself. By the way, all of these photos were taken by me post Irma.